In the first of a new (hopefully) semi-regular feature for SpoilerTV, I'll be taking a look at directors and their filmographies, highlighting good jumping on points and in some cases when the featured directors filmographies are too long to cover in a single post, I'll be looking at the best feature-length films that they've made. It won't be just film directors whose work I aim to cover as well, and hopefully there will be a focus on specific episodes from directors who have have a lengthy history in television. For the first of these Director Spotlights, I'm looking at the filmography of talented Scottish auteur Lynne Ramsay, whose 2018 film You Were Never Really Here is currently available to buy on digital, Blu-Ray and DVD, and was placed in third in my list of my favourite films of 2018 so far. It's hard to pick an accessible jumping on point to her filmography as her films are consistently awesome and you can't go wrong with any of them, but if you don't want to go chronologically, starting with either the aforementioned You Were Never Really Here or her most popular film We Need to Talk About Kevin, would be a good choice. Just remember not to overlook any of her other work. The feature-length debut film by Ramsay is a raw yet beautiful - which is a trademark style of her filmography, follows a 12 year old boy named James Gillespie (played by William Eadie) who deals with the death of his friend Ryan. It has a gritty dreamlike nature to it, exploring the character's grief in subtle and nuanced ways that prevent it from feeling tired or dull. But rather than wallow in its sadness, Ratcatcher follows James as he establishes his unlikely friendship with Margaret Anne (Leanne Mullen), a 14 year old who expresses a need for love in ways that a 14 year old shouldn't. Set against a bleak backdrop of Glasgow in 1973, the film doesn't shy away from showing a city that contains some of the poorest housing conditions in Western Europe at the time. Ramsay subverts our traditional expectations about the coming of age drama going on in favour of a film that rips and tears away at the glamour of growing up in Britain. It's heart-wrenching and at times hard to watch, eschwing sentimental valour in favour of an ambitious and daunting effort. The debut is so confident at times it's hard to tell that it's a debut at all, feeling like an arthouse film that never has that pretentious overtone to it, keeping it down to earth throughout. It's up there with Trainspotting as my favourite Scottish movies ever. The second feature-length film in Ramsay's career is possibly my favourite in her short filmography to date. I watched this along with the rest of Ramsay's filmography earlier this year for the first time and completely fell in love with it as it introduces us to Morvern Callar - a Scottish girl who has possibly one of the coolest names ever. But whilst this film isn't quite as bleak as Ratcatcher, it is still pretty damn bleak, as we follow Callar's character who attempts to sell a manuscript from her recently deceased boyfriend who commited suicide so she can escape with her best friend on holiday rather than spend the money on a funeral. The central performance from Samantha Morton is exceptional, as she brings a great charisma to the role. It's stylish too, much like Ratcatcher - but again, much like Ratcatcher - not overtly so - with Ramsay injecting this film with a host of songs that work great together ranging from CAN's I Want More to The Velvet Underground's I'm Sticking With You, keeping us in the dark compared to the bigger name classics that many directors often go for. It feels like a mixtape that acts as the perfect backing track to this moody force of nature. It explores her friendship with Kathleen McDermott's Lanna very well, and charts the path of Morvern as she goes from a lowly supermarket stacker across Europe to Spain. We Need to Talk About Kevin is probably the most well-known film from Lynne Ramsay to date. It's a harrowing psychological thriller drama adapted from Lionel Shriver's novel of the same title, following the impeccably cast Tilda Swinton who stars as the mother of the titular Kevin (Ezra Miller), struggling to acknowledge the evil deeds that her son has committed. It's a powerful piece that is hard to watch at the best of times, winning Swinton a nomination for the BAFTA Best Actress in a Leading Role. Ramsay's unique style boasts some strong cinematography from Seamus McGarvey and makes the most out of her first collaboration with a soundtrack from Jonny Greenwood. The film doesn't feel offensive in the way it tackles its delicate subject nature, and mercifully, doesn't show the violent acts that Kevin committed at all and becomes all the more powerful because they are left to our imagination. It's a blend of drama and horror, and arguably ranks up there with a career-best performance from Swinton, even if it is hard to tell because Swinton is just so consistent at what she does. We Need to Talk About Kevin was named Mark Kermode's best film of 2011 and it's easy to see why - addressing a subject that needs to be talked about in a unique and understated way. Ramsay's latest feature-length film is awe-inspiring. It's a cinematic tour-de-force from start to finish as we follow the adventures of a tortured war veteran who rescues girls who have been kidnapped. It's melancholic, brutal and unforgiving yet maintains that same Ramsay charm that the previous films in her filmography have, it's not a clear departure from her filmography as it instead opts for a more unique vision panning out across the course of the film. It is violent, brutal and unforgiving - and thanks to its short runtime, never dull or boring. Joaquin Phoenix is the star of this film and he is front and centre throughout. Phoenix has had many awesome roles over the course of his career but You Were Never Really Here might just be his best one so far to date, putting in a performance reminiscent of Robert DeNiro in Taxi Driver. Hell, the whole film might as well be the modern Taxi Driver, sharing several similarities with Martin Scorsese's epic. Once again her collaboration with composer Jonny Greenwood provides us with a brilliant score, and it's clear to see why he's worked now with both Ramsay and Paul Thomas Anderson. 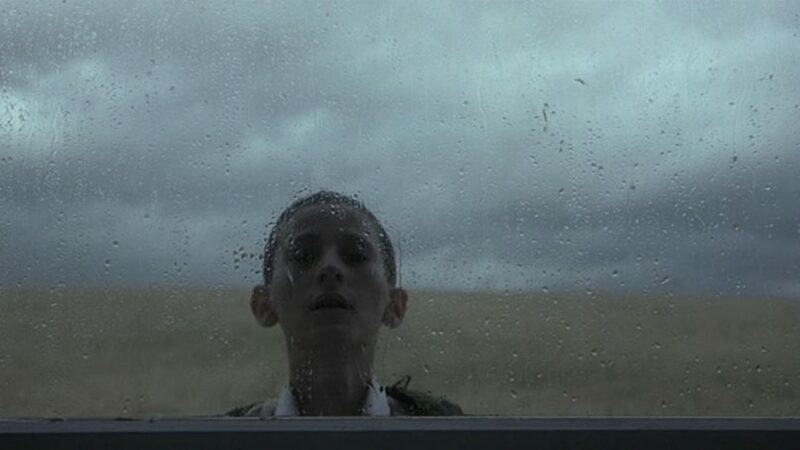 Have you seen any Lynne Ramsay films before? If you have, what is your favourite? If not, do any of these films catch your interest? Let me know in the comments below and be sure to keep an eye out for the next Director Spotlight feature, coming in the near future.